Search engine optimization is a process of creating and developing a strategy to optimize and improve a website in order to increase traffic from organic or natural results. That is why search engine optimization is also called organic reach, as it helps you improve the number of users who will get to your website by clicking on the results that appear in the search engines. Organic reach is a natural and free way to generate visits, as opposed to paid reach, where you pay to get your website promoted and visible to the users. In order to explain the process of search engine optimization in details, we shall start with defining what search engines are and what they do. Search engine is a program that searches the items inside its database in order to present the results to the user who used a specific term in the search query. Consequently, search engines have two major purposes. The first goal of search engines is to index the websites and store the data about each website. In order to do so, search engines have to crawl a website, using so-called spiders or crawlers, and collect the information necessary to learn about the website and what it is about. This way search engines build their own database with information about indexed websites, which is later to be used as a source of information. The second purpose of the search engines is to provide the results to a certain term, specified by the user. This means that when a user types a word or phrase in the search engines, search engines should present the list of the results or SERP. Obviously, a search engine uses its own database, its data collected through the process of crawling and indexing, in order to be able to determine which content is related to the specific search query. The idea is to present only the most relevant and helpful resources, as search engines focus on providing the best user experience, which is possible through providing quality results. You should be aware that search engines do not see the websites the same way users do. Instead, they are only able to see the content they crawl, content that follows a certain structure. Therefore, when you create or modify a website, you should be familiar with the fact how search engines get information from a website, in order to be able to create what they call search engine friendly website. Search engine friendly website is a website that search engines can easily access and index the content on that website. It means that the website follows the recommendations in terms of technical features and design, and it has a logical link structure. Crawlers are not able to discern content displayed on graphic elements and videos, as well as Flash or Java plug-in contained content, which is why these unable crawlers from indexing the content. If you want to check if the structure of your website is search engine friendly, use a tool such as Google’s cache feature, and you will see the website as search engines see it. 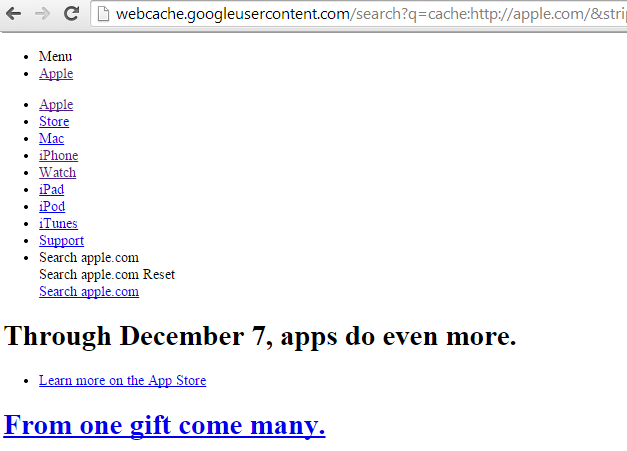 And this is how the search engine, in this case Google, sees the same website. http://webcache.googleusercontent.com/search?q=cache:http://example.com/Apart from being search engine friendly, a website has to be user friendly as well. While search engine friendly structure helps search engines, you have to think about the people who are going to visit your website, as this will also eventually affect your ranking. If you create a search engine friendly website, but you are unable to generate any visits, sharing, and external links, this will all be a signal that there is something wrong with your website, and you will find it difficult to position such a website. User-friendly structure allows users to easily navigate through the website. Users are able to find relevant information browsing the website or using the search. Usage of user friendly URLs, usage of images and quality content can also improve user experience. It all starts with those users who use a search engine to look for information. They search for a certain word or phrase they are interested in and they are being presented the list of results related to that search query. As with the paid results, search engines want to provide relevant and useful results in order to provide best user experience. Therefore, search engines use complex algorithm to calculate relevance and influence of each websites in a particular order. Just as it was the case with quality score, where AdWords program would use different metrics to calculate the quality score of a web pages, there are different elements of search engine optimization that affect the evaluation process, and ultimately determine ranking. There is one major division of SEO elements. There are on-site or on-page elements, and off-site or off-page SEO elements. On-page SEO is the type of SEO activities that can be conducted on your own website, hence the name on-page or on-site SEO. On-page optimization represents creating a strategy to apply best practices and recommendations in order to improve the way search engines see your website, which will affect ranking and your business in general. On-page optimization consists of optimization of different elements of a website, which all are the factors that influence ranking. HTML structure of a website enables search engines to recognize parts of text, to identify the text and determine its relevancy. Usage of heading tags indicates the titles and separate headings of the text, which shows the structure, as well as what the text is about. Title tagTitle tag is important SEO element as it indicates what the page is about, to both the users and search engines. Title tag is the title of the page, occupying the prominent place on the page, which makes it easy to attract the attention of the visitors. In addition, it is included when the page is shared on social networks and it is also visible in the search engine results pages. Title tag should not be too long for two reasons. First of all, you want to attract the attention of the users, and it is much easier to do so with a shorter and yet affective title. Secondly, search engines only display between 65 to 70 characters long title tag. Title tag should be related to the content of the page. Use relevant words and keywords close to the start of the title tag. Write descriptive and engaging titles to attract more visitors. Meta tagsMeta tags provide information about the content to the search engines. Meta robot tags are used to control search engines activity for a certain page. Using this type of tag, you tell search engines whether or not to perform a certain action. Index / noindex – Use this tag if you want to allow or prevent search engine from indexing a page. Search engines are programmed to index all pages, so there is no need to specifically use index tag. In general, you want search engines to index your content except if you have pages with duplicate content, a very large database, etc. Follow / nofollow – These tags are used to tell search engines whether the link on the page should be crawled. Default settings for all the links are follow, but if you do not want a link to be followed, use nofollow tag. Noarchive – This tag is used when you want to prevent search engines from saving a cached copy of a page. Nosnippets – If you want to prevent search engines from displaying rich snippets for your website (descriptive text) next to the title tag and URL in the search results, you should use this tag. Meta descriptionMeta description was used in the past by search engines to provide information about the content of the page, but it is no longer being used for that purpose. Today meta description is not a relevant ranking factor. It is only used as a text, which is displayed below the title tag and URL in the search results. As such, meta description can help with generating visits, since users tend to read meta description in order to determine if it matches the search query. Therefore, you should write effective and relevant meta description to attract the users. In general, there is no particular recommendation on the length of meta description, but you should have in mind that search engines usually display snippets up to 160 characters long. Rich snippetsRich snippets are a form of structured data, which allows webmaster to mark up content on the website in order to provide information about the website to the search engines. There are different types of markup, including reviews, author’s profile, events, etc. This activity is not an essential part of search engine optimization process, but rich snippets are being displayed in the search results, which is why you might want to consider using them. Keywords are essential part of the search process, and thus they are also essential on-page SEO element. Keywords allow search engines to understand the content of your website and relate it to a specific term. There are no exact instructions on how and when to use keywords, but there are some best practices that are considered helpful when trying to optimize a website. Use the keyword at least once in a title tag, if possible close to the beginning. Use the keyword several times in the body, including the variations of the keyword, such as synonyms, different word order in the phrase. Use the keyword at least once in the Alt text (attribute of images). Use the keyword once in the URL. 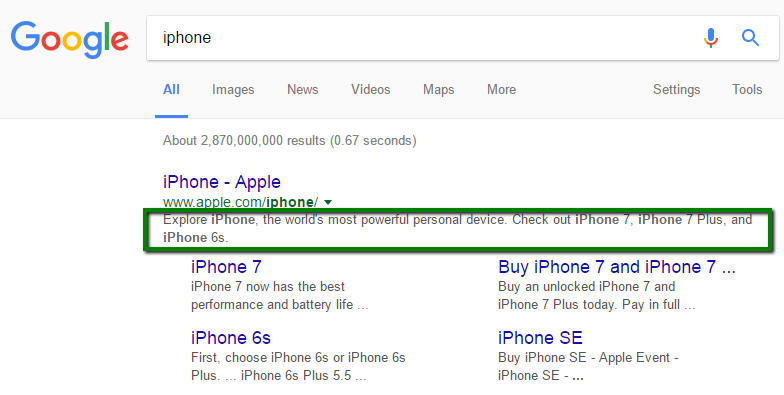 Use the keyword at least once in meta description, close to the beginning if possible. Link structure on the website is also visible by the search engines, and it allows them to find out how the content is connected. Crawlable structure of links enables search engine crawlers to identify the pathways of a website and to index all of the pages. If you create pages that are in no way linked to the other parts of website, it will be very difficult or even impossible for search engines to index those pages. Duplicate contentDuplicate content is one of the most common reasons for penalization by search engines, which will decrease your ranking and prevent you from reaching the top position in the search result pages. When you have one or several pages with similar content on your website, one way of resolving this issue is to use 301 redirects. In this case, you will redirect search engines to one single page, and search engine will only show one page in the search results, which increases the chances of higher ranking than with having several separate pages. Canonical URL tagCanonical URL tag is a similar way to approach the issue of having duplicate content. As with 301 redirects, you use canonical URL to tell search engines that two (or several) pages should be treated as one. Unlike with 301 directs, usage of canonical URL will not direct visitors to a different page, which is why this option is often used when publishing the same content on multiple websites. Descriptive URLDescriptive URLs are those that contain the specific name of the document, which are both user and search engine friendly. You should also pay attention to the length of the URL, as shorter URLs are much easier to share on social media, in emails, etc. General recommendation is to use hyphen (-) to separate words in the URL. As said before, you should try to use the keyword in the page URL. This is an example of a descriptive URL, which is both search engine and user friendly. You should avoid creating URLs such as this one. Site speedSite speed is a metrics that shows how quickly your website responds to the request. It is basically the time needed for your website or a certain page of your website to load. Site speed has been used as one of the metrics for ranking websites in the search results, which is why you should measure and try to improve the speed of your website as a part of on-page SEO. Faster load time provides better user experience and that is why the website with faster load time is more likely to rank higher as opposed to slow loading websites. 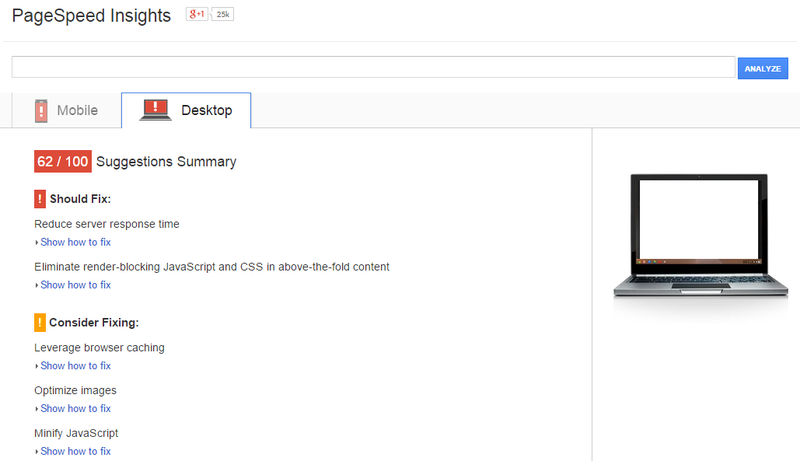 Google provides a Page Speed tool that helps you measure the site speed on both desktop and mobile devices. This tool also provides suggestions on how to fix potential problems that might be causing your website to load slowly. Site mapSitemap represents a list of all the files on your website and its main purpose is to help search engines when crawling your website. Search engine crawlers are able to recognize the format of the sitemap and to use it to get the information about a website. 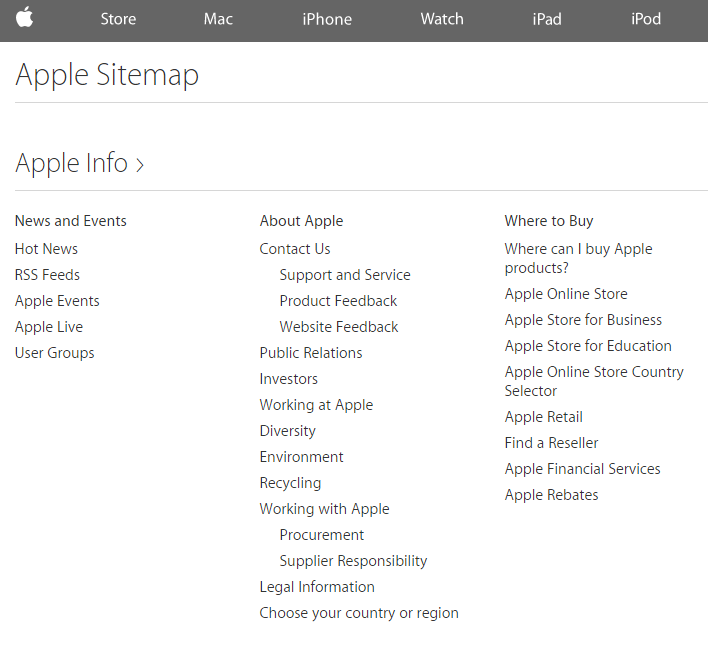 Even though there are several formats of sitemap, the most common and recommended format is XML sitemap. Off-page SEO refers to the external elements that influence the optimization of the website, and thus they affect ranking. Besides learning about a website, search engines use external factors to evaluate the websites and rank them accordingly. Two most important metrics are certainly the engagement, where search engines measure the time users spend on a website, as well as external links, where the main presumption is that people would only link to quality content. Links are very important element of search engine optimization, as they help search engines discover content that is related to a specific page. Popularity is primarily calculated through links, where search engines use the link patterns to determine popularity of a website. Besides popularity, search engines conduct link analysis to detect spam and separate it from authority links. Search engines use a complex algorithm to conduct link analysis, and there is no way to know how exactly they compare and rank the websites based on links, but there are some general recommendations when it comes to link building strategy. Link neighborhoodSearch engines tend to analyze the websites that link to your websites, as well as the links you feature on your website, in order to determine the type of websites you are interacting with, i.e. link neighborhood. This is done based on the assumption that spammy websites are most likely to link to spammy websites, which is why you have to be careful when asking for or posting the link to your website on other websites. Consequently, search engines are prone to deduct that high quality websites would link to other quality websites, which is why obtaining links from a website with high authority is a good way to improve ranking of your own website. This kind of link building activity is something that search engines recommend, as having a link posted on an influential website would definitely boost the authority of your own website. Universities and government websites are some examples of websites with high authority and trust, based on the search engines. Anchor textAnchor text is the link text, visible to the users. It is a clickable part of the text that contains a link to a website. Search engines use the anchor text to determine the content of the linked page, and they use anchor text as one of the metrics when determining ranking. With the latest updates, search engines have started to give more relevance to the keywords in the anchor text. Therefore, if too many websites link to same URL and use the identical anchor text, it can mean that the links were not acquired in a natural way, which has negative effect on ranking. The general recommendation is to use the keywords and keyword phrases in the anchor text, but you should try to use a variety of different anchor texts to link to your website, instead of using the same phrase every time. Even though social links are not treated the same way as the links from other websites, as they do not hold such relevance, social links are noticed by the search engines. It is not known to which extend they affect ranking and how they are implemented in the search engine ranking process, but there is no doubt that they are important part of search engine optimization. Social links are frequently featured in the search engine results, as a response to a user query. Social shares provide a great opportunity to distribute content and reach the large number of users. Building up a profile with lots of social followers help you create a community through which you can promote your content and thus increase traffic, click through rate, and eventually improve your business. Link building is defined as a process of acquiring hyperlinks from other websites to your own website. It is a part of off-page SEO, but having in mind the importance of link building in the positioning of the website, we shall focus on this activity a little bit more. There are a lot of different techniques that can help you get links, but this activity is certainly one of the most difficult parts of SEO, and most webmasters agree that link building is a true art. The first part of the link indicates to the search engines that there is a link to a different location. It is called the start of link tag. The second part is link referral location, which actually represents the URL to which the link is pointing. Visible / anchor text of the link is the third part of the link and it represent the text which will be visible to the users. This is the clickable part of the text, usually a word or a phrase that will lead the users to the web address provided in the link referral location. Anchor text is usually formatted differently from the rest of the text. It is usually underlined and in different color than the rest of the text, most often blue. Closure of the link tag is the final part of the tag and it is used to indicate to the search engines where the tag ends. There are several types of links. Some of them will help you tremendously with positioning your website, while other may even harm your ranking. Editorial linksThis is the best type of link you can get, and therefore, it is most likely that they will help you with positioning. Editorial, or natural links, are the ones received naturally from other website owners. In most cases, you do not have to ask for editorial links. However, in order to get an editorial link, you have to deserve it. You can usually deserve a link by publishing high quality content which the users will find useful and worthy of sharing. Manual linksManual or outreach links are the links you get having previously contacted the website owners and asked them to link to you. Having quality content is again the reason why anyone would choose to link to your website. Non-editorial linksThese links are self-created on those websites that do not require moderation before publishing, which include article directories, forum signatures, directories that are not moderated, etc. However, these links do not comply with best practices and recommendations suggested by the search engines, which is why you should avoid them. It is not certain how and if they will help you with ranking, but it is also speculated that they can even lead to penalties. Nofollow linksUsing a nofollow link you basically indicate to the search engine that you do not want to assign relevancy to that link. It is used when you do not want to recommend search engine to follow a certain link, and you are telling search engine that they should not trust this link. These links are also used with advertising. In this case, you can advertise a link to the website visitors, but at the same time you will indicate to the search engines that you cannot trust this website, as you do not have control over the content published on the website featured in the link. As a user you will not notice the difference, and you will still be able to click on the link and visit the URL contained in the link. However, search engines will see the additional rel=“nofollow” in the link tag. Nofollow links are usually used in the blog comments, forum posts, websites like Wikipedia, etc. as in all of these cases users can add link manually, which could eventually lead to misuse of this type of links. Link building, as an SEO activity, results in two major benefits for your website. First of all, links help search engines discover content on your website. When a search engine crawls your website in order to index the content, it also indexes the links pointing to those pages from external websites, as well as the link structure on the website itself. Additionally, links affect search engines when ranking websites, as each link in considered a sort of a vote. Having links pointing to your website is the indicator of popularity and quality, which is why this metric is an essential part of SEO. However, you should have in mind that having thousands of links will serve you no good if those are all spammy links and links obtained from website directories. These links do not indicate enough value, as editorial links do, and they even might harm your website, as excessive number of these links may be marked as so-called over-optimization. Link building can also help with branding, as you will try to establish your brand on the internet and increase the influence of both your brand and you as an influential individual in the specific industry. In addition, reaching out to other people from your industry can help you build and improve relationship with others, which may result in collaborations and new opportunities for your business. Ultimately, link building helps you increase traffic, which can help you acquire some new customers or get additional links. In this case, links from related websites are likely to get quality traffic and users who are genuinely interested in your business, while you will hardly get the opportunity to convert the visitors who click on the link posted on unrelated website. There are various different strategies and approaches when it comes to working on SEO. It depends on factors such as your website, type of business you have, your budget, time you have to invest in search engine optimization, etc. The main recommendation when improving SEO is to try to improve each of the aspects that affect SEO and ultimately improve ranking, which includes both on-page and off-page elements. Since on-page elements are easier to improve, having in mind that those are relatively easy to fix, you should start with on-page optimization. Creating high quality content is one of the most recommended strategies to improve SEO. This way you provide content that can be trusted and it results in increasing your authority on the internet. Having great content will also help you increase traffic and links pointing to your website, which will strengthen the influence of your website even more. One of the best tools to help you start and get general idea what needs to be fixed on your website is Google Search Console, previously known as Google Webmaster Tools. You should use your existing Google account to sign in to Search Console and add your website. You can add several websites and manage all of them from one account. Once you have your website added, you will be able to examine some of the on-page features such as crawl errors, HTML improvements, structured data, etc. You will also see the data about links to your website, internal links, search queries and keywords leading to your website, mobile usability, etc. Bing offers its own Webmaster Tools, which can also help with determining if there are any issues on the website that might be having negative influence on ranking. Bing Webmaster Tools helps you understand how people reach your website, which keywords they use and how they behave on your website. Google Keyword Planner – A tool that will help you get keyword ideas and explore the volume of the keywords on your website. Google Analytics – This tool will help you with monitoring the visits, analyzing the behavior of the visitors and the target audience, as well as with tracking success of your website’s performance through creating custom goals. While these are Google’s tools, Bing provides alternatives and similar tools that are supposed to help you with the search engine optimization tasks. Keyword Research Tool – Use this tool to explore the keyword volume and suggestions. SEO Analyzer – This tool allows you to analyze the page in order to see if it follows the best SEO practices.